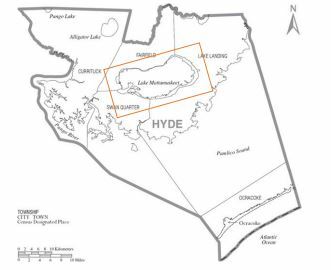 HYDE COUNTY – An ambitious plan to restore the aesthetic and natural majesty of Lake Mattamuskeet would require exquisite coordination and cooperation between a community of scientists, public agencies, nonprofit groups, recreational users and residents. But an intensive, 18-month focus on saving the state’s largest natural lake appears to have resulted in that very real possibility. The draft Lake Mattamuskeet Restoration Plan is set to be presented Tuesday, Oct. 16, in Swan Quarter at the fifth and final public meeting to discuss research findings, ongoing and planned scientific studies and a detailed plan of action. The fifth and final public meeting about the Lake Mattamuskeet Watershed Restoration Plan will be held at 7 p.m. Tuesday at the Hyde County Government Complex in Swan Quarter. The meeting is to review the priority actions for the watershed plan, as determined by the stakeholder team. Additional technical presentations and research updates will also be included on the meeting agenda. Those interested in providing review of the plan but unable to attend can submit comments online. Comments must be received by 5 p.m. Nov. 2. The final plan will be presented Dec. 3 at a public symposium at Martelle’s Feed House in Englehard. In 2017, a partnership of the North Carolina Wildlife Resources Commission, the U.S. 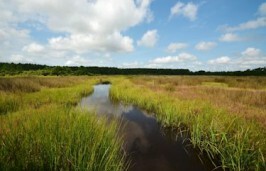 Fish and Wildlife Service and Hyde County hired the North Carolina Coastal Federation to develop the restoration plan, along with an 11-member stakeholders group that represented different community interests, including farming, hospitality and duck impoundments. A total of 13 meetings were held. 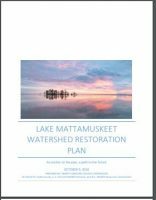 The 50-page draft report reflects the complexity of the myriad issues facing restoration of the lake, but also offers clear objectives. “We tried to look for complementary research we could draw from,” said Michael Flynn, coastal advocate at the federation’s Wanchese office. But Mattamuskeet is a unique environment, with numerous public and private jurisdictions, interests and difficult-to-determine boundaries. Further study of the watershed, its water budget and the hydrological map were some of the suggestions in the plan that could provide more understanding of management of the lake restoration. A productive first step that could be taken in the near term, Flynn said, would be directing stormwater into a wetland area to allow nutrients to drain into the soil, and then redirect the filtered water to its historic drainage area. Restoring the health of the lake, stakeholders seems to recognize, is the big get that everyone wants – but it will take persistence. “It’s a working goal and I think they’re at least going to try,” he said. 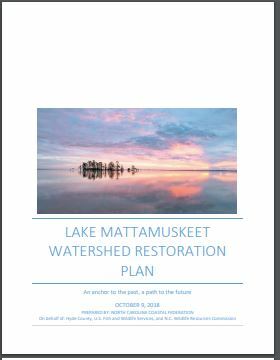 Mattamuskeet’s challenges are the cumulative impact of modifications in the land and hydrology, the draft report says. 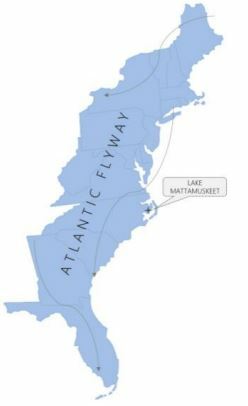 Lake Mattamuskeet’s location is shown on a map of the Atlantic Flyway extending from Maine to Florida. 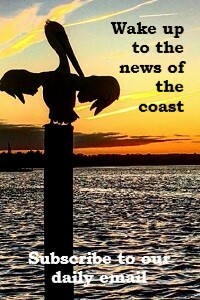 The 40,000-acre lake, the centerpiece of mainland Hyde County, attracts hundreds of thousands of waterfowl – most famously white swans in the late fall and early winter – and is known for its kayaking, fishing, crabbing, duck hunting and, of course, birdwatching. The area, which has a high population of black bear, also is popular with bear hunters. 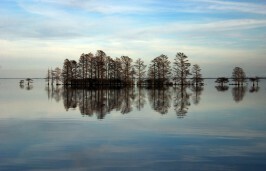 But for more than a century, Lake Mattamuskeet, which is 6 miles wide, 18 miles long and averaging 2 feet in depth, has suffered more than its share of insults to its ecosystem – from both human and natural causes – resulting in its current unhealthy state. In 2016, the Environmental Protection Agency put the lake on its state list of impaired, or more commonly called “dead,” waterways. All of the submerged aquatic vegetation that once covered the lake bed is gone. With no SAV, fewer ducks and swan visit. But Mike Piehler, director of the University of North Carolina Institute for the Environment in Chapel Hill and a member of the Mattamuskeet science advisory group, said the lake may be impaired, but it still has plenty of life. “It is in a less preferable state, for sure, but it is by no means dead,” he said, “It remains a valuable ecological resource, but its function is impaired because it is dominated by algae in a way that is not natural.” Although the algae may have toxins, he said, the toxicity has not reached a level where it is dangerous to people or animals. Piehler, who has studied the lake for years, is hopeful that with local input and support, a scientifically driven process will be able to bring the lake back from the ecological abyss. The lake’s water is plagued by toxic algae blooms, fed by high nutrient levels from fertilizers and bird droppings that drain into the lake. Rising seas make salinity and lake levels harder to maintain. The water has lost much of its clarity due to suspended sediments. Oxygen levels are often low. Heavy rains likely made worse by climate change more frequently flood nearby farmlands and overwhelm drainage ditches with stormwater. Invasive carp have contributed to depletion of the SAV and to other fish species, and invasive plants have clogged the water. But despite the problems, little has been understood about the exact causes or what would remediate them. 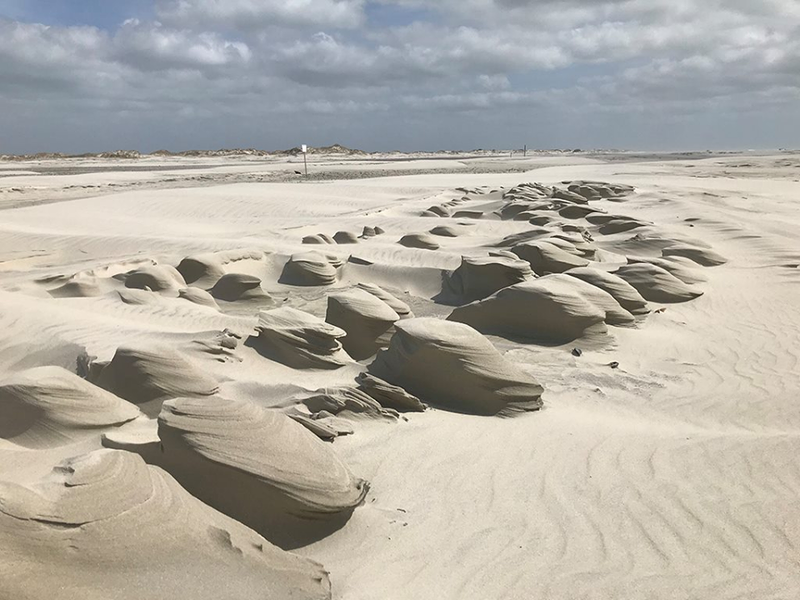 “That’s the reason we launched this watershed restoration project,” Pete Campbell, refuge manager of the 50,000-acre Mattamuskeet National Wildlife Refuge, said in a recent interview. 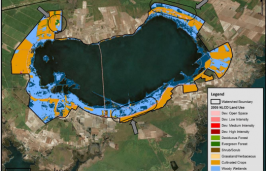 Campbell said the draft plan, working off scientific and local insights, provides a mix of short-term and long-term objectives that can lead to a manageable approach to restoration of the lake – and importantly, local buy-in. Earlier criticism directed at managers and policy makers from some in the community, he said, has diminished over the course of the meetings of the stakeholders’ team, which included numerous area residents. A technical working group of scientists and researchers was created in 2013 to start studies of the lake issues, including monitoring. Ongoing or recent research in and around the lake includes waterfowl impoundments’ effects on water quality; carp population impact and control; SAV restoration; and the lake’s input and output of water. Campbell said that the research will help determine “a path forward with what’s the best bang for the buck.” When the plan is finalized in the near future, funding for projects will become more available from different sources, he said, including federal and state grants. By looking at complicated issues such as water quality in a holistic way, he said, strategies such as creating incentives to remove nutrients, or devising alternative ways to drain and redirect stormwater from farmland, can foster cooperative solutions. Implementation would be greatly helped by establishment of a more formal structure to oversee the plan, he added.